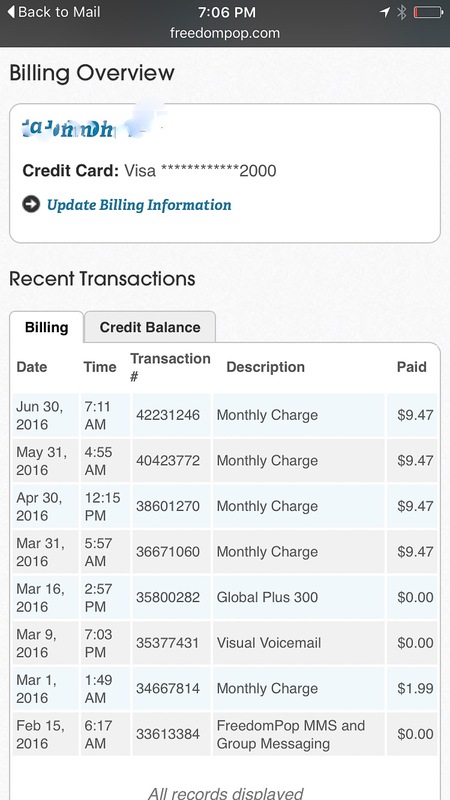 Canceling FreedomPop premier service "unauthorized charges"
I just noticed on my bank statement a recurring monthly fee of 9.47 from FreedomPop that was never authorized and never received an email from FreedomPop stating to the recurring monthly charges. After checking under my account I noticed was charged four times for something I never ordered called "FreedomPop Premier". I can't find a way to cancel it from the website. I would like this service to be canceled immediately and all unauthorized changes refunded.. Please respond with a resolution on the matter. Thank you in advance for your help.